Kind words can be short and easy to speak, but their echoes are truly endless. Future House Therapy Centre focuses on you as if you are part of our own family. Please be aware our website is currently under construction. Bear with us. At Future House we offer a full range of different therapies to suit you. Ranging from Reiki and Bars to Hypnotherapy and Mind Processes. We offer a variety of workshops to cover things like Weightloss, Law of Attraction, Laughter and a whole lot more. Check our events page for upcoming programs. At Future House we offer a top class Mentoring and Supervision program to ensure all trainees and clients get the best possible service and outcome. 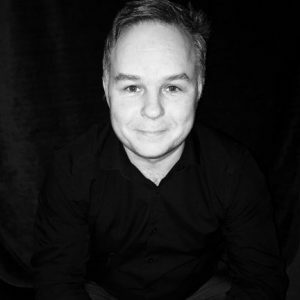 Martin has worked with the Law of Attraction from an early age, and developed the practise to incorporate hypnosis and other skills to enable the application of the Law at a deeper level. He works with businesses, groups and individuals on a whole series of issues, from phobias, pain, habits and health issues, to anxiety, PTSD and lifestyle choices. He trains and works all over the world, with clients in Africa, USA, Australia, Trinidad, Canada as well as all over the UK. His focus is set on the client, the trainee and their clients to spread the word on the good that alternative therapies can offer. Future House Therapy Centre arose from his vision of a one stop alternative health centre and academy. The future vision is to open centres around the country and eventually worldwide. Karen worked in education for many years with both adults and children, in the UK and France before training as a holistic therapist in 2000. She is a certified laughter yoga leader and a laughter therapist and she promotes the healing benefits of unconditional laughter through laughter training, talks, workshops, group sessions, one to one coaching, themed parties and her unique laughter Reiki only to be found at Future House Therapy Centre. 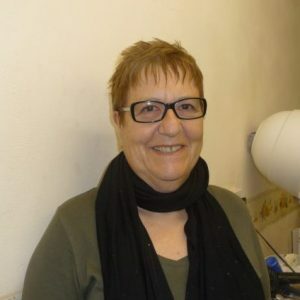 Karen works with seniors, businesses, schools, charities and individuals, linking energy therapies, to help people improve their health, life style and personal development. Karen is trained to offer Reiki, Access Consciousness Bars and Body Processes, EFT, Crystal Chakra Balancing, OldPain2Go, Dreamscaping, and Past Life Regression. With so many modalities to draw upon she can tailor each session to the client’s needs. Hypnosis is a deep state of relaxation during which suggestions are made to create beneficial changes in ideas or behaviour. The subconscious mind controls the involuntary functions of the body, including habits and things that we do ‘automatically’ – it is fuelled by our emotions and imagination and directs the energy from within. The subconscious mind also contains memories of every single thing that has occurred to us. In hypnosis the mind is very receptive to new ideas and open to suggestions which encourage more sensible, balanced or helpful attitudes to reality. Running the Bars can help with PTSD, depression, insomnia, stress and anxiety, physical and emotional trauma and mind chatter. This dynamic, non intrusive therapy involves lightly touchy 32 points on the head to remove redundant thoughts, feelings and emotions. It can be likened to cleaning the hard drive on a computer. As you reclaim the energy that was locked into these ‘ old files” you let go of the worries, struggles, limitations and negativity that have been a problem for you. You feel progressively relaxed, energised and free to enjoy a life of greater choice and possibilities. Having your Bars run could change your life forever! Crystal therapy is an ancient healing system concerned with treating patients holistically through the precise placement of crystals on the body and the surrounding room. This means that, unlike Western healthcare (which tends to focus on treating one symptom/ailment at a time) crystal therapy addresses the patient as a whole – paying as much attention to his or her spiritual and emotional well-being as to their physical health. Crystal therapy is a non-invasive, relaxing, natural and enjoyable process. We offer a unique method of pain relief, involving removing the old message of pain. It has so far been effective in helping people with: Arthritis, Back Pain, Crumbling Spine, Fibromyalgia, Scars, Post Thrombotic Syndrome and all types of Old injuries. It can also be used to turn off or down Emotional Pain. You can expect a complete removal of pain, or less commonly, a reduction to an acceptable level. Removal of the old pain is advisable, as the old messages can mask new problems you might ignore.